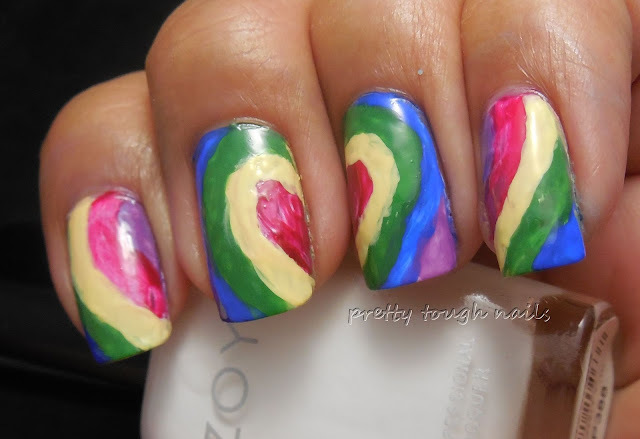 Today's challenge is Rainbow Nails, and I had some difficulty with this one. I didn't want to do anything too obvious like splatter, dots, or gradient, but that didn't leave much else. 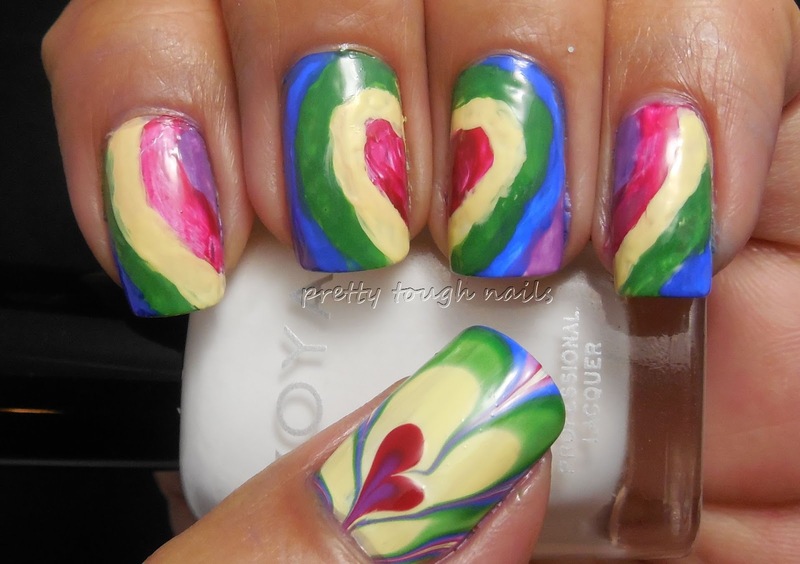 As a last minute, I decided to do a heart rainbow that starts in the center of my middle and ring finger and then expands out... I used a nail art brush to paint the colors over Zoya Purity. Scroll down quickly so you don't focus too much on the imperfections! My favorite part of the mani is the thumbnail, where I did a rainbow watermarble. 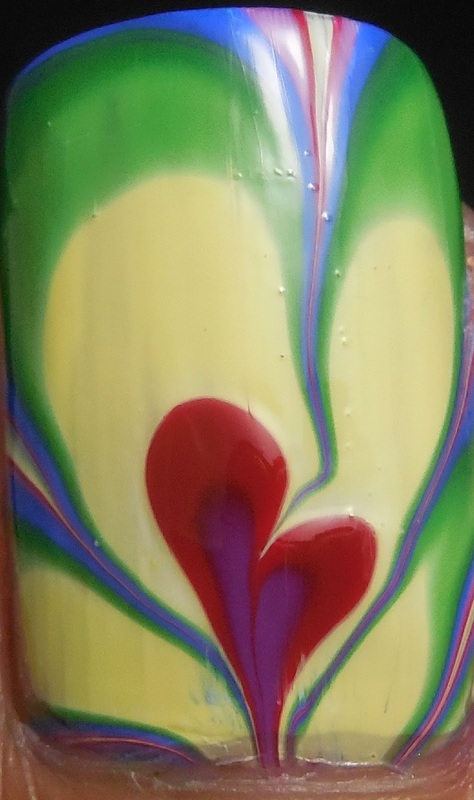 There's a little heart in the base of the nail! Not my favorite challenge of the month so far... hopefully I'll be able to make up for this tomorrow. Please make sure to check out the other ladies' manis, I'm sure theirs is much better! Indeed! I lucked out with that one! Got a license for that thumb, ma'am? 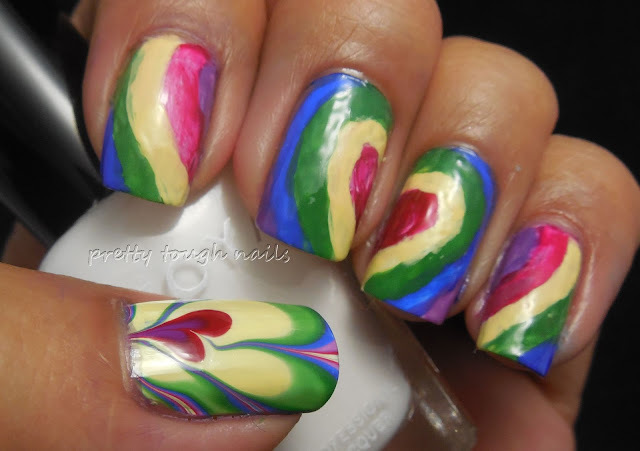 Awesome job, with just the PERFECT amounts of yellow and green in the watermarble design to complement the rest of the manicure. I don't care what you say, I love this in its entirety! Thank you so much!! 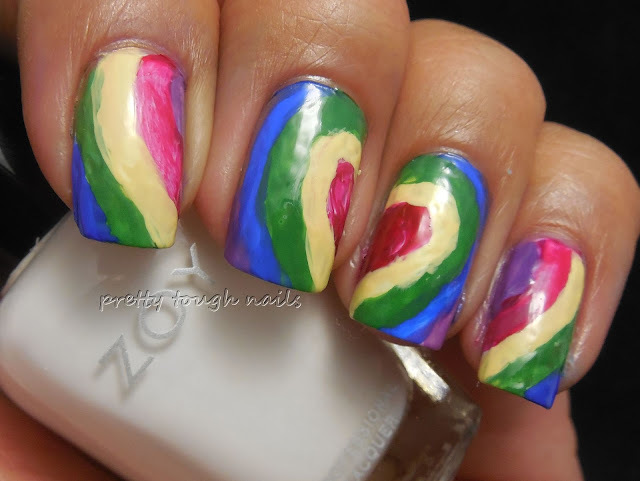 You give me more confidence in that mani! I'll take what I can get, LOL.